At the offices of Dr. Michael Pellegrino, our staff is knowledgeable and friendly to offer you personalized eye care in Oshawa, Whitby and the Durham Region. This website will be used to provide information regarding our practice’s goals for the benefit of both new and returning patients. Should you need further information before, during or after your visit to one of our optometry clinics, please feel free to view our frequently asked questions or reach out to us via phone or email. We’d be more than happy to address any questions or concerns you may have concerning your eye care. 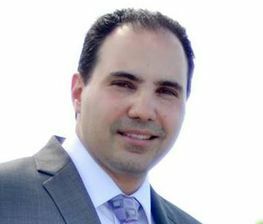 After graduating from the University of Waterloo with a Bachelors of Honours Science degree, Dr. Michael Pellegrino continued his education at Nova Southeastern University in Ft. Lauderdale, Florida, receiving his Doctorate of Optometry degree. After working at both South Florida Vision Associates and The Rand Eye Institute, he decided to return home to Oshawa, where he would have the opportunity to continue the tradition of high-quality care provided by his mentor, Dr. E.F. Ninacs, who announced his retirement in 2007 after 37 years of dedicated service. Dr. Pellegrino also recently expanded his practice to join the already well-established team at Bond Optical in Oshawa. Personalized service has been the hallmark that has set Bond Optical apart since it was established in 1994. Dr. Klein and Associates gave this practice a firm foundation, which Dr. Pellegrino hopes to continue by providing comprehensive eye care for patients of all ages. In his spare time, some of Dr. Pellegrino’s hobbies and interests include bodybuilding, personal fitness, fishing, golf, soccer, swimming, watching films and reading. He has also been a Certified Personal Trainer with the International Sports Sciences Association (ISSA). He is currently training to master the art of Aikido Ryugikan martial arts and self defense. 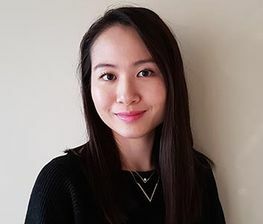 After graduating from the University of Toronto with her undergraduate degree, Dr. Wong continued on to pursue her education at Indiana University and obtained her Doctorate of Optometry degree. Dr. Wong has clinical experiences in contact lenses, binocular vision, ocular disease management, pediatrics and surgical co-management. She practices full scope optometric care with a special interest in fitting contact lenses and dry eye management. Dr. Wong is dedicated to providing comprehensive eye care and creating a personable exam experience for all her patients. In her free time, Dr. Wong enjoys reading, painting, yoga, traveling and spending time with family and friends. Dr. Kimberly Misquitta graduated from the University of Toronto with an Honours Bachelor of Science in Human Biology. She obtained her Doctor of Optometry degree at the New England College of Optometry in Boston, Massachusetts. Dr. Misquitta completed externships at several locations, including the Veterans Affair Hospital Togus in Maine, the South Boston Community Health Center and Boston Medical Center. 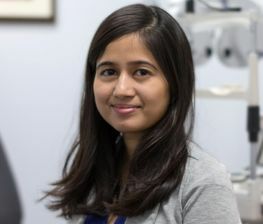 These externships allowed her to gain advanced clinical training in the treatment and management of various eye diseases. When you come to the offices of Dr. Michael Pellegrino, rest assured knowing that we use the latest in optical care technology to meet your needs. 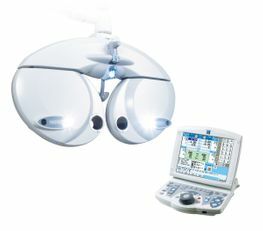 Non-Mydriatic Auto Fundus Camera AFC-230/210 – This is a camera that provides high quality retinal imaging. Using a high resolution imaging system, we take pictures of the inside of your eyes in order to identify any potential issues in patients of all ages. Using this camera, we can spot the early signs of macular degeneration, retinopathy, glaucoma, cancer and retinal detachment. This is included in all full eye exams and is available for every patient covered by OHIP at a discounted price of only $20 a year. 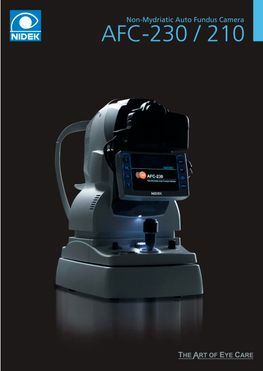 RT5100 Auto Phoropter – A Phoropter, also known a refractor, is used during eye exams to determine which type of lenses will correct your vision. 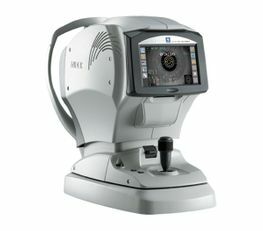 The RT5100 Auto Phoropter provides accurate information while remaining comfortable and easy to you. Featuring an on-screen assist function, a touch screen and a night mode that allows it to function to any lighting condition. 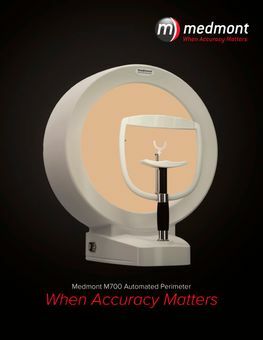 Tonoref III – A combination of refaractometer, keratometer, tonometer and pachymeter, it automatically calculates the correct IOP based on central corneal thickness. It produces highly accurate results while remaining user-friendly and compact enough to fit in any office. 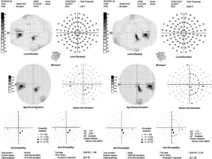 Meadmont Visual Field Testing – Used to measure visual fields and eye movements. 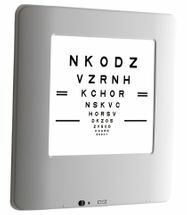 It efficiently and accurately measures and tracks eye movements in a simple display. It also is flexible enough that optometrists can design their own tests and printouts. 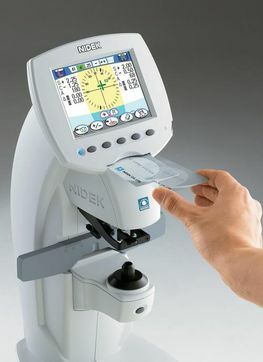 Auto Lensometer – This device is used by optometrists to ensure that eyeglass lenses have been created and mounted correctly into the frames. It can also be used to check contact lenses and measure UV protective properties. It is fast and simple to use, and provides accurate results.